Our love affair with Orchard Toys continues and today we have a new game to share with you. Caterpillar continues to choose board games above almost any other toy and that’s absolutely fine with me as it’s still one of our favourite bonding activities. Dinosaur Lotto has all the trademarks we’ve come to enjoy and expect from Orchard Toys; bold, bright colours, hard-wearing play pieces and a fun, simple game concept. Hubs is the only person on the planet with no interest in dinosaurs at all whereas they’ve fascinated me since childhood. Fortunately, my influence has won out and, since I introduced him to Jurassic World last year, Caterpillar’s dinosaur interest has flourished. If your child loves all things prehistoric too then they’ll love this game. 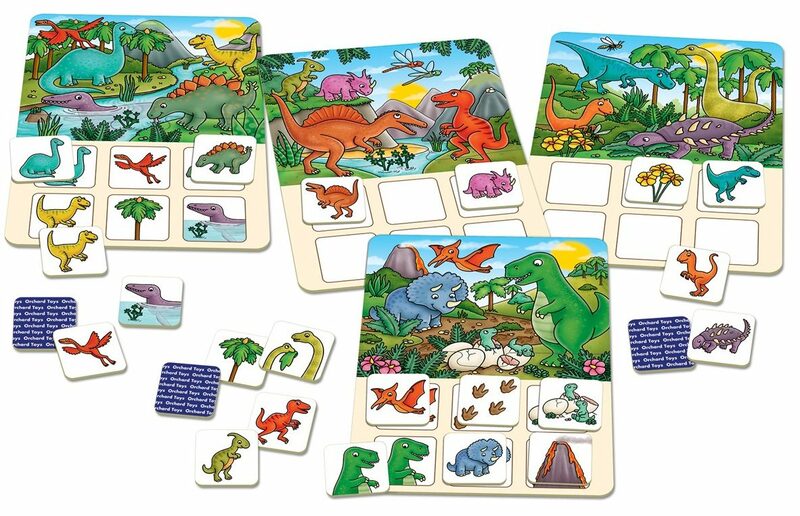 The game consists of several game boards each depicting a different scene, with different dinos and plant life, and playing cards with corresponding features. There are two different ways to play – the first is a straightforward memory game where players take turns to turn a card over and keep it if it matches one of the pictures on the base of their game boards. For the second game style, the bottom half of the game boards can be turned around so it’s blank boxes only, and your little one has to actually find the item within the scene itself. This second method is really good because the pictures on the cards are often a different size or back to front so it really encourages their observation and lateral thinking skills. The £7.50 price point is very reasonable, as always, and it would be a great store cupboard item to keep aside as a last minute children’s party present. 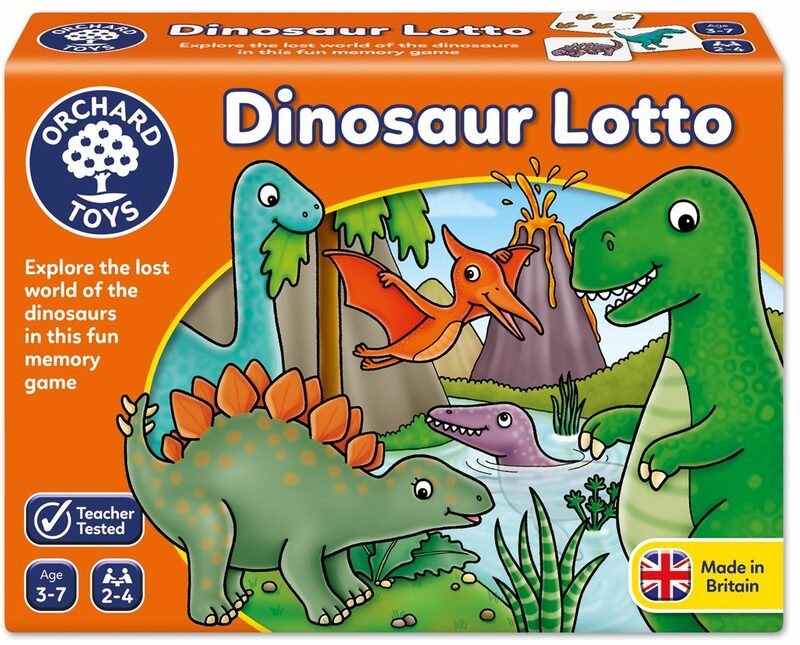 Would you like to try the Orchard Toys Dinosaur Lotto for yourself? Simply enter the giveaway below for a chance to win. Disclosure: We received this game in exchange for an honest review. Words and opinions are all my own. How could anyone not be up for dinosaurs! 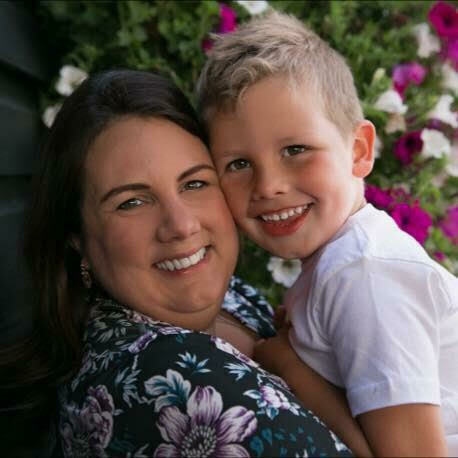 It’s literally my go-to theme … anyone under 10 (and most over) loves them!! This looks like a great game, we always love orchard toys games as they’re such great quality and educational! 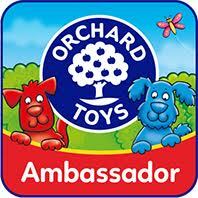 You can’t go wrong with Orchard Toys – the kids love them! We love Orchard toys.. we have 6 games!!!! my little Grandson would enjoy this very much! Can’t go wrong with an Orchard toy and this one looks like another winner. A lovely gift – my son would love this! We are big dinosaur fans! We love Orchard Toys and this game looks really fun! My 6 & 2 yr olds are dino mad and would love this! I love Orchard toys. The are fun, educational and affordable and have a lot of choice and have bought many a game and jigsaw as gifts. Love Orchard toys – so well made. I would love to win this for my granddaughter and then we could play it together. Great prize. The kids are so keen on dinosaurs. This would be perfect for my granddaughter who will be 3 years old in a few weeks time. How fantastic, we just love Orchard toys.